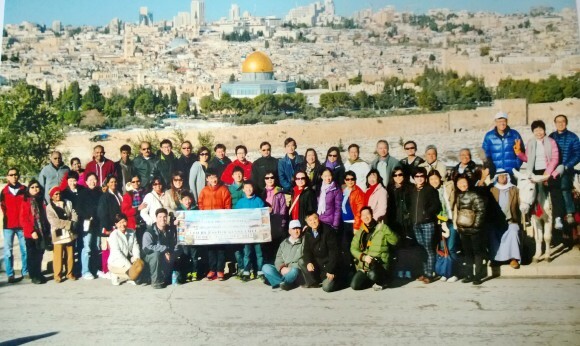 The holy land experience from 10-21 December 2013 was unforgettable for 47 of us pilgrims mainly from World Revival Prayer Fellowship, and some from other churches, saw the living God of Israel at work. We saw how God intervened and opened doors as large parts of Israel were affected by an unusual cold snap. The day we landed in Tel Aviv we faced wet and stormy weather. Our visit was hampered by this for we had a Galilee boat trip cancelled because of the stormy weather. So at night we gathered at a function room of the hotel. After a fun icebreaker, a few shared how the Lord led them and opened the way for them to visit the holy land. I read a pertinent passage about Jesus, the Lord of wind and waves, calming the winds and challenged everyone to pray and trust the Lord to grant us open doors and good weather in the days to come. 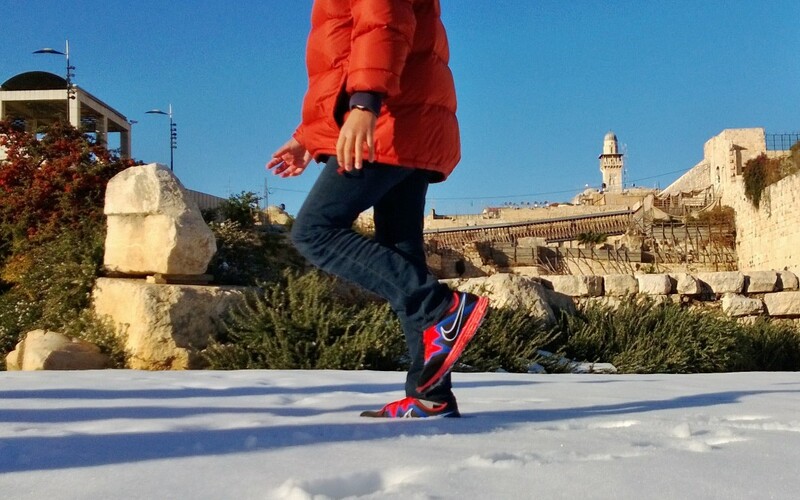 We had received news that Jerusalem received a metre of snow and was struggling to cope. Thousands of homes were without power, roads were closed, many motorists were trapped in vehicles, and the army had to be called in to help. That night we prayed with earnest faith. The next morning, the lake of Galilee was safe for the boats and that was a testimony to God’s faithfulness and grace. When they played a song of praise on the boat, great joy broke out, and like little children we laughed, fed the seagulls, played and took photos. 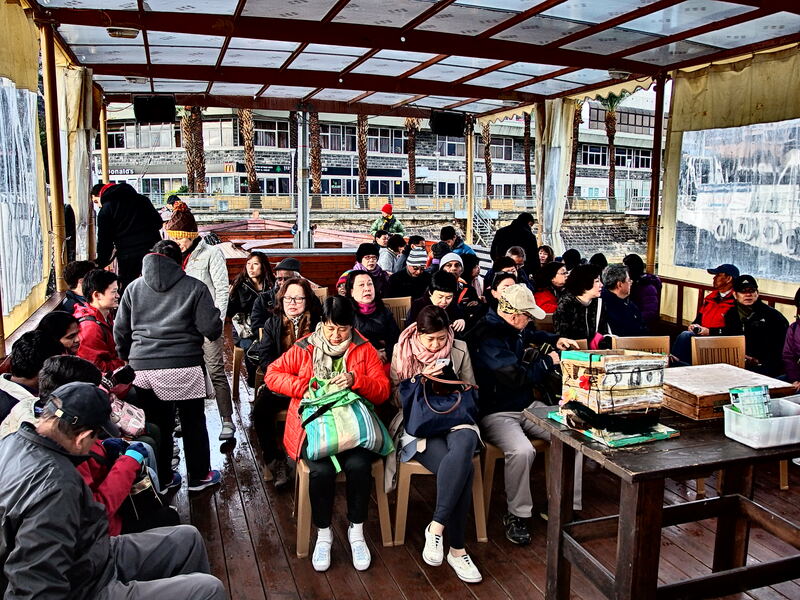 Later, while on the boat, I conducted the “eucharist” which means “thanksgiving”. The rest of the trip we had similar encounters of God’s faithfulness and power. Several places were initially closed to us because of the cold weather or power failure. The Dead Sea was closed due to the weather. Masada had a power failure so the cable cars were paralyzed. However the next day, the weather turned sunny and power was restored so we went to both the Dead Sea and the Masada with great joy. It was the same for Jerusalem. With all the TV coverage of closure of roads, very cold temperatures and trapped tourists, we wondered if we could enter Jerusalem for the last leg of our pilgrimage – the via dolorosa. God opened the way. We saw cars and buses from Jerusalem with thick snow on their roofs. This meant the roads have been cleared. We were excited and so thankful when we entered the holy city and stood at the Mount of Olives. The panorama of the old Jerusalem under snow was a special, unique and rare sight. We were privileged and blessed to be there at that historic moment. We came to see the holy land but we also saw the living God in action. This was one blessed and awesome pilgrimage.